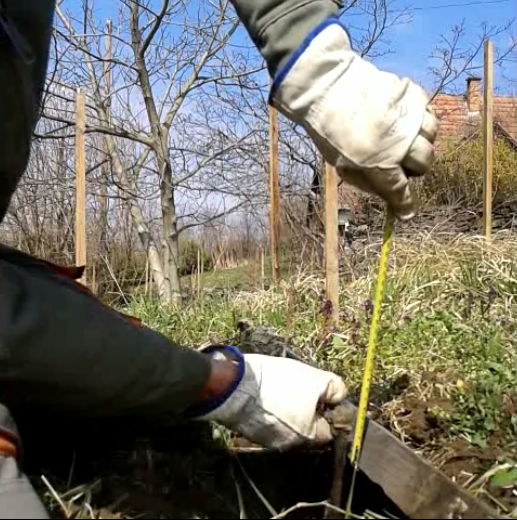 In the Tales of Two Properties series, new wine vines were planted. But some did not survive their first year. 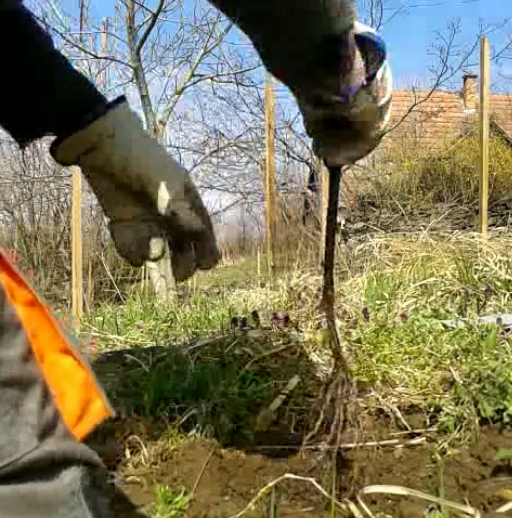 This video shows the replanting process of a new wine vine to replace one that did not survive. 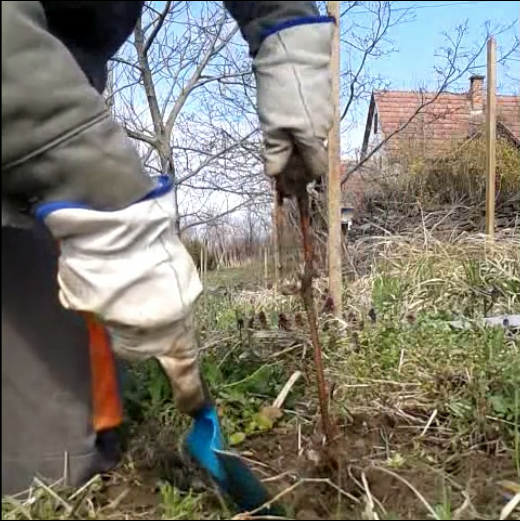 Of if you do not want to watch the video, below is a photo journal of the replanting. 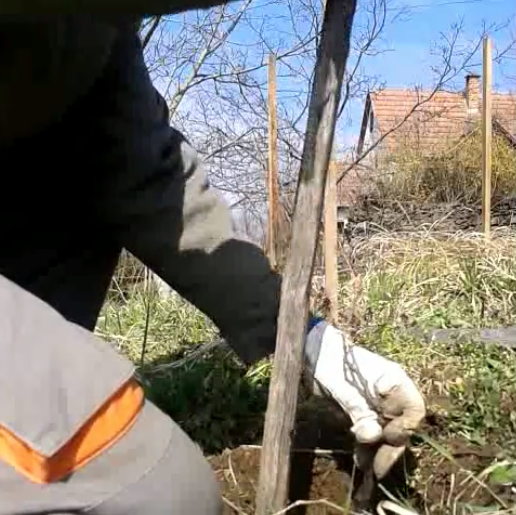 To replant the vines, the supplies (such as a new vine plant) and tools used are shown below. 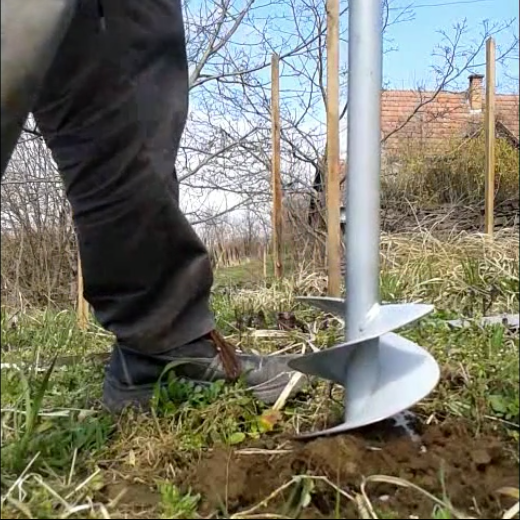 If you plant your own vines, a shovel or post hole digger can substitute for the soil auger. 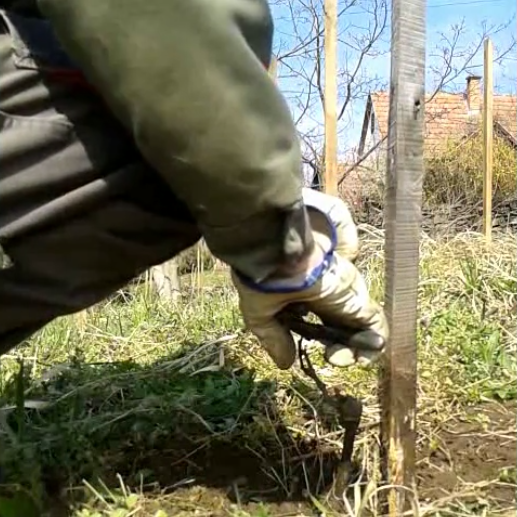 A few supplies and tools needed to replant a wine vine. 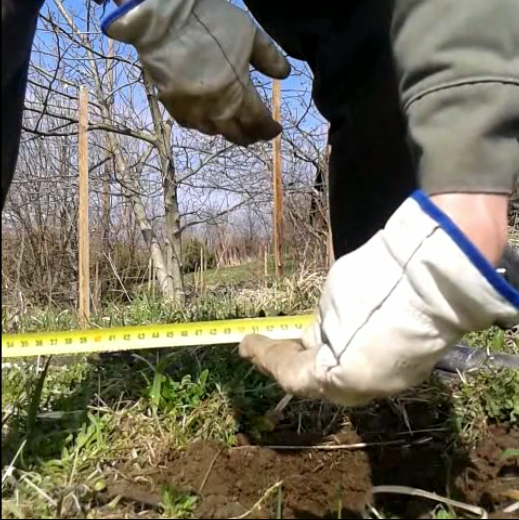 The hole should be at least 50 cm (20 in) deep. 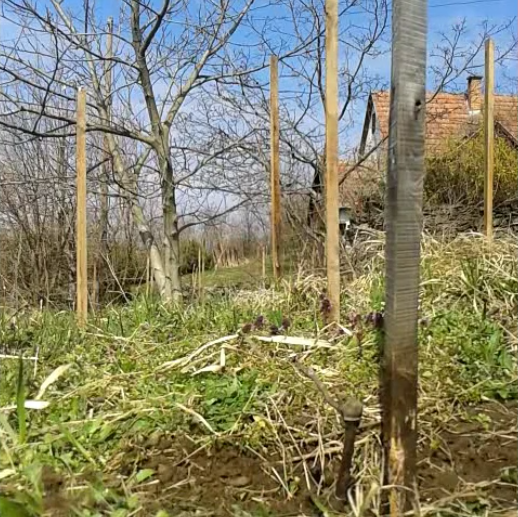 Placing new vine in hole. 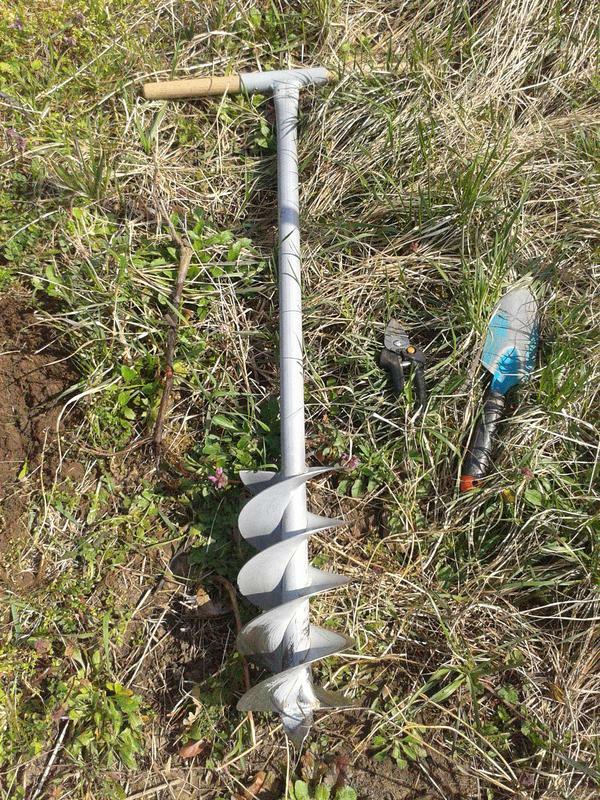 Fill in the hole with dirt removed with the soil auger. This is a grafted vine, and the graft should be at least 5 cm (2 in) above the soil. Continue filling the hole and tamp down the soil as it is added. 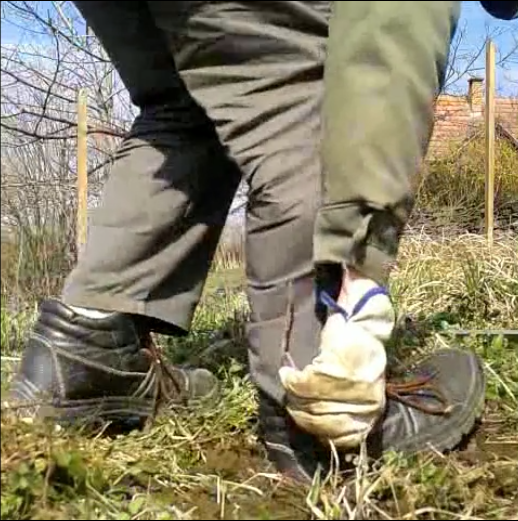 After the hole is filled, giving a final stomp on the soil around the vine to set the vine in the ground. Trim the new vine to only have two buds. Post replaced and planting completed.